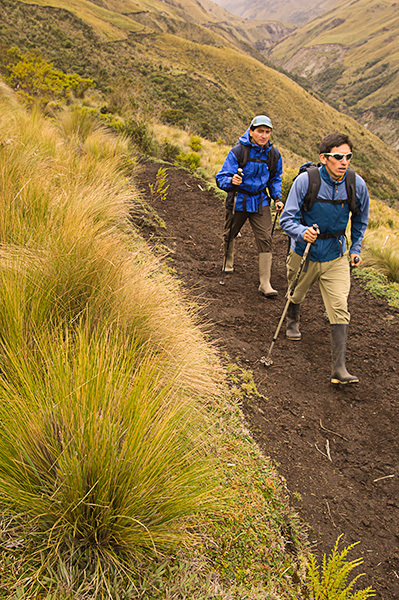 We will explore the flora and fauna of the Chimborazo Reserve during this five day trek on the flanks of Chimborazo and through the broad valley of the Rio Mocha. 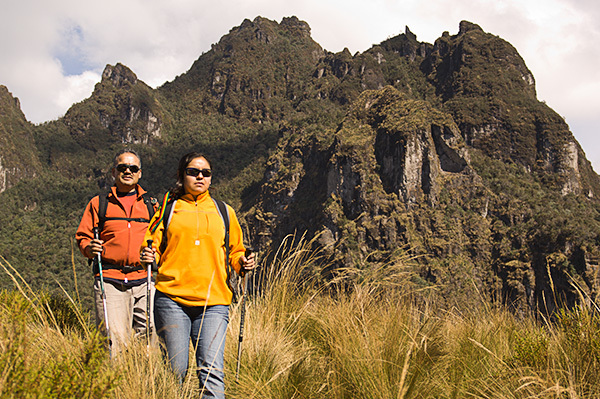 We will explore the rich biodiversity of the Reserva de Produccion Faunistica Chimborazo. 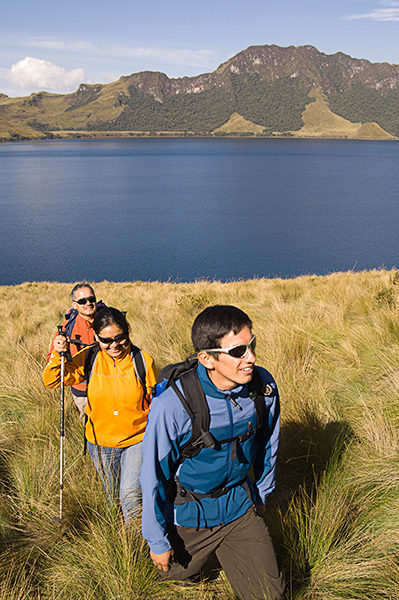 This Reserve was established to protect the páramo grasslands intermingled with glacial formed lakes, peat swamps and shrub and forest patches that support the natural flora and the fauna of the region. 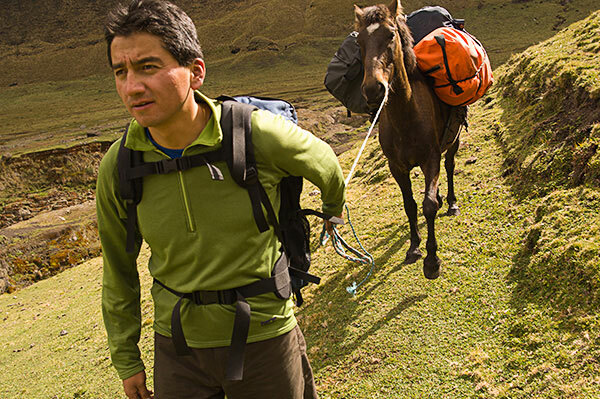 The Reserve is most famous for its herds of wild native Andes camelids- the vicuña and guanaco. The Reserve is also home to deer, rabbits, wolves and a great diversity of birds- from the Ecuadorian Hillstar, a high altitude grassland hummingbird, to the grand Andean Condor. In addition to the wildlife, the Reserve has a great biodiversity of plants, such as the multicolored flora of cushion plants, bromeliads, mosses and the small forest trees – Puma Maqui, Polylepis and Ginoxis. The reserve is home to patches of. Patches of the ancient Polylepis, or paper tree, are only found in protected and relatively inaccessible areas due pressures on these forests because of their value for construction and firewood. The high altitude peaks of Chimborazo and Carihuairazo lie within the Reserve. The sight of Chimborazo (6,310 m / 20,702 ft), the tallest peak in Ecuador, is among the most impressive in all of the Andes. Since the Earth bulges near the equator, this snowcapped giant is not only the highest mountain in Ecuador, but also the highest in the world if measured from the core of the Earth outward to the peak. Carihuairazo is just 10 km (6 miles) to the northeast of Chimborazo. It is thought to have had similar dimensions as its neighbor Chimborazo, prior to the last period of activity which destroyed the mass of Carihuairazo’s base. What remains today is a one and a half kilometer wide, heavily eroded caldera opening to the east. There are two main peaks at the Carihuairazo massive: the central Maxim at 5,020 m/16,469 ft is the highest and Mocha is to the southeast. Drive to the trailhead in Cuatro Esquinas (3.300m/10,826 ft). 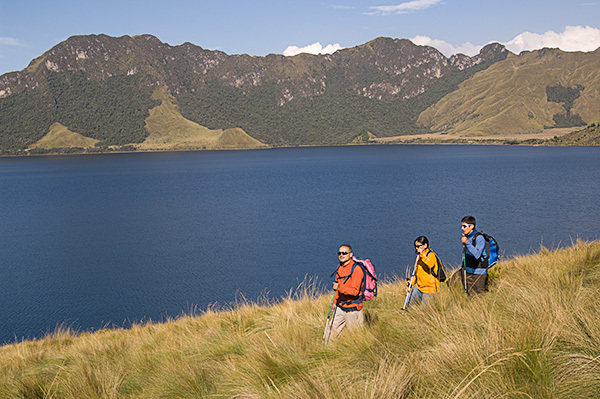 Here, we will begin our 3-4 hour hike to Llama Pungo (4.000 m/13,123 ft), on the old “Pan-American” route. 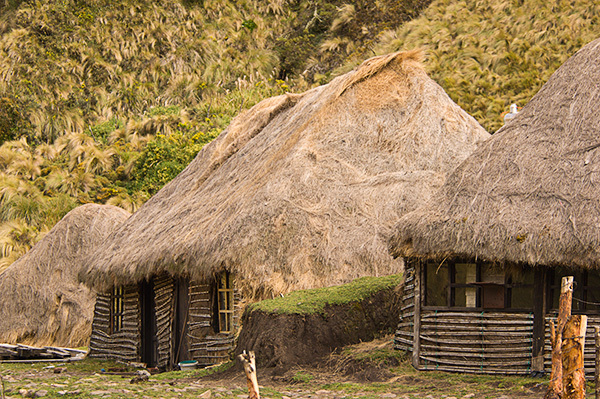 The route takes us along an ancient stone highway through tiny villages on the lower slopes of the southeastern side of Chimborazo. As we gain in elevation, we enter landscapes of farmsteads where sheep and cattle graze in the gently sloped pastures. Finally, the road turns into a small footpath which winds up alpine meadows dotted with glacial creeks and flocks of domesticated alpacas and wild vicuñas. (Optional: guests who do not wish to camp can opt to arrange accommodations in La Estacion Urbina). 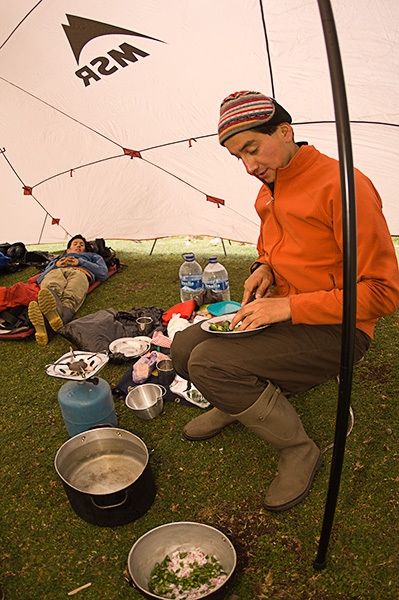 After breakfast we have a 5-6 hour hike east towards our second camp at Alto Urbina (4.219 m /13,840 ft). 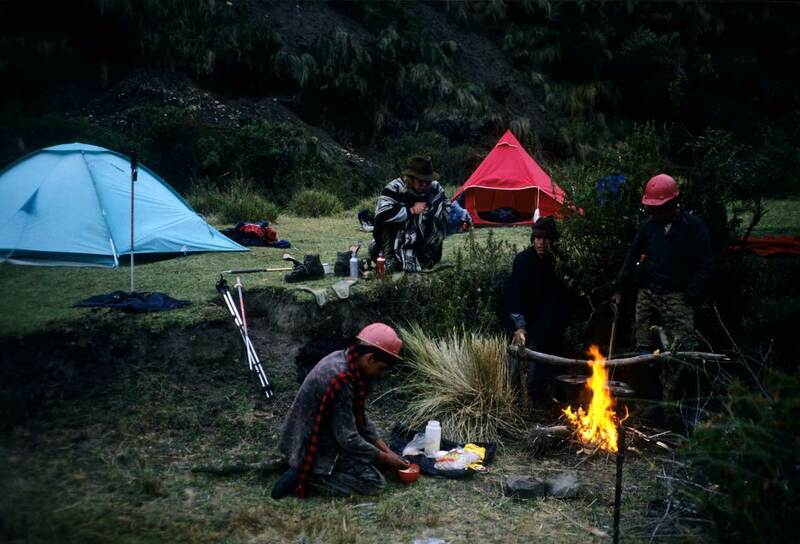 (Optional: guests who do not wish to camp may spend the night in the mountain hut, Portal Andino). After an early breakfast, we begin our hike to the Rio Mocha valley, circling around Chimborazo Peak directly across from Carihuairazo. As we ascend into the hillside, we encounter spectacular views of the surrounding mountains. The highest point on today’s hike is at Abraspungo Pass at 4.400 m (14,435 ft), here we stop to rest and enjoy the views of the adjacent snow-capped peaks. Then we descend to Mechahuasca (4.265 m/13,993 ft) on the north face of Chimborazo. Today is the longest hike of the trek. It will take us 5-6 hours to hike up to Carrel’s Refuge (4.800 m/15,748 ft) on the west face of Chimborazo. Our final day of hiking entails a short 45 minute journey to the Whymper Refuge at 5.000 m (16,638 ft). From here we go for a short 2 hour hike along the original Whymper’s Route to the Chamonix Needles (5.240 m / 17,191 ft), a spectacular panoramic point in the midst of the glaciated peak of the Chimborazo massif. Then we begin our descent back to the Carrel Refuge. 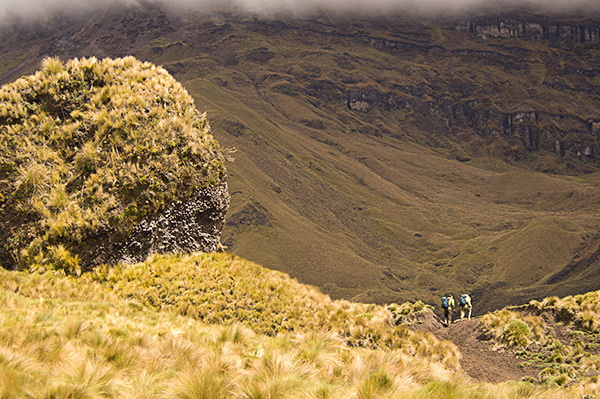 On the way down, we will enjoy some of the best views of Chimborazo on our trek. The regal summit and cascading glaciers of the giant massif graces us with one last spectacular view before we end our journey. Once we arrive back at the Carrel Refuge we descend 3-4 hours on trails to La Chorrera (3.900 m/12,795 ft) where we meet our ride into Riobamba. The rest of the day is yours to relax and explore the city. (Optional: guests who do not wish to hike down may be transported to Riobamba in the vehicle).